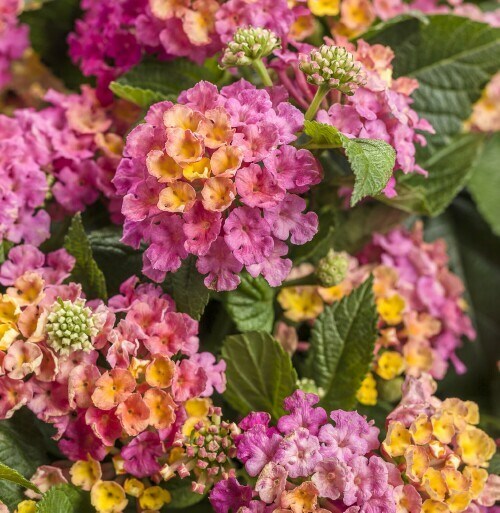 Bright magenta-purple with yellow flowers packed into clusters adorn the dark foliage all summer. Extreme heat tolerance make it great for containers or in the landscape. Performs best in full sun.